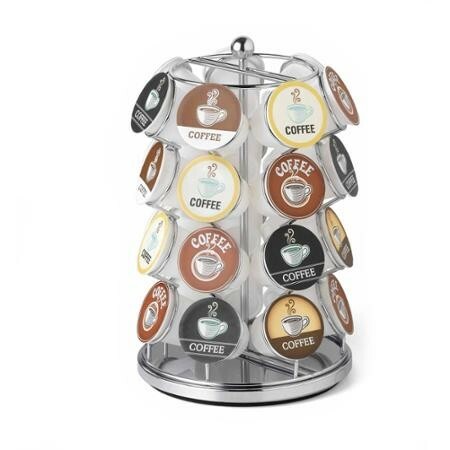 Grab your favorite coffee from this Nifty Home Products K-Cup Pot Carousel and brew up a cup! 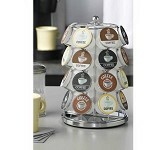 It is a fun way to display and provide easy access to the pods. 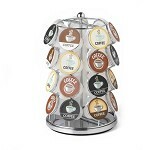 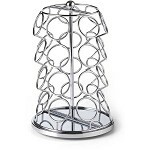 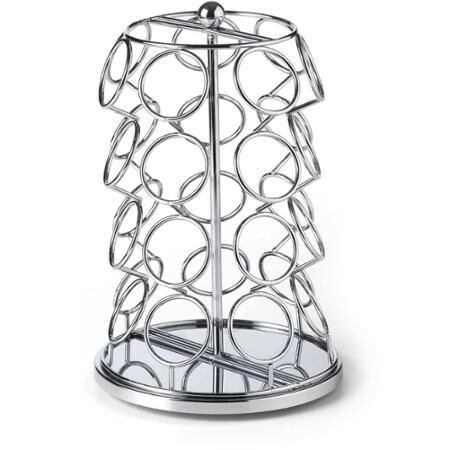 The K-Cup carousel holds up to 28 K-Cups and has a stylish chrome finish!